Saturday mornings – watch for the email. We received our Permit from the Town of Woodstock TDRB ! One step closer… We have some fundraising events in the works to fully fund this project. We intended to pay for it with the Federal Grant we applied for and didn’t get. Forward progress IS happening. Don’t worry – we’ll let you know when we’re done with this one!!! 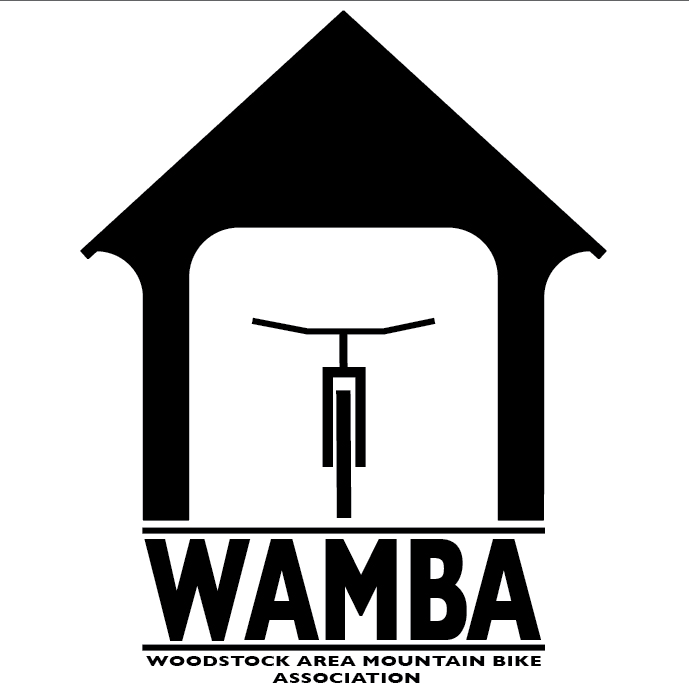 WAMBA’s weekly Group Rides are going off every Monday night. Come join us if you can. We alternate between The Aqueduct Trails and Mt. Peg. Thanks to Gavin Vaughan, Rob Vaughan, and all the other members who have been continuing to lead these rides. Suicide Six has started hosting a Women’s Ride on Wednesday evenings. Wednesday nights are also the weekly Gravel Ride led by Vermont Overland. Also Suicide Six is running the lifts on Friday nights until 7pm. A bunch of us were there last Friday and had a blast! You can always clip back branches and pick up sticks / deadfall. If water is pooling or ponding on the trail, use your heel to put in a quick “kick drain”. If there are major water issues or trees down, you can email us at info@mtbwoodstock.com, or use the Trailforks app to report conditions. Don’t forget about the US Open of MTB this weekend at Killington. World Class racers right in your backyard? Better go check it out! Starting and ending at the world famous Tunbridge Fairgrounds, PPP’s two routes wind through some of Tunbridge’s most beautiful woods, historic covered bridges, iconic dairy farms, bucolic backroads and hidden trails. The 25 mile “Beer Run” is designed for those who want to push themselves up and over the hills that surround Tunbridge, with more than 4000 feet of vertical including an optional sturdy up/down “adventure” ramble. The “Milk Run” is designed for the more laid back riders – the ten mile course flows through three of Tunbridge’s five venerable covered bridges, and is perfect for younger riders and families. All Milk Run riders will start with the Beer Run Bikers from the Fairground’s Antique Hill. Visit: www.wfvrppp.com to for more information and to sign up! As an added bonus, the 3rd annual NanoFest will be taking place at the fairgrounds as well. As a rider you will be admitted into the NanoFest free. You still have to buy your beer tickets, but you don’t have to pay the $10.00 entry fee. Check out www.brocklebankvt.com/vermont-nanofest.html for more info.